Welcome back, Ryan McMahon. See ya, Julio Urias. 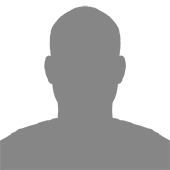 Scott White offers adds, winners & losers. Pre-NFL Draft mock: Rookies fit? 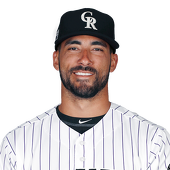 Petricka was optioned to Triple-A San Antonio on Friday, Adam McCalvy of MLB.com reports. Petricka was up for just two days while Alex Wilson was on the paternity list. He pitched two scoreless innings during his latest stay with the big-league squad, bringing his ERA down to 4.50 on the season. With Wilson back with the team, Petricka heads back to the minors to wait for his next opportunity. Burnes was optioned to Triple-A San Antonio on Friday, Adam McCalvy of MLB.com reports. 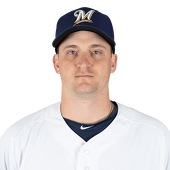 Manager Craig Counsell was noncommittal about Burnes' next start Wednesday, so it's not a major surprise to see him headed to Triple-A. The 24-year-old has a 10.70 ERA, 2.15 WHIP and gave up a whopping 11 home runs in his four starts (17.2 innings). He did record 24 strikeouts, but that was mitigated somewhat by eight walks. 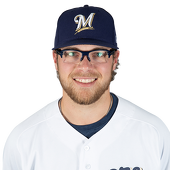 The Brewers undoubtedly will hope Burnes can iron things out at San Antonio and return to the big-league rotation at some point this season. 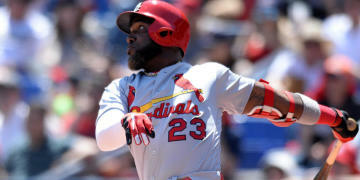 Desmond (leg) is back in the lineup, hitting sixth and playing center field against the Phillies on Friday, Thomas Harding of MLB.com reports. 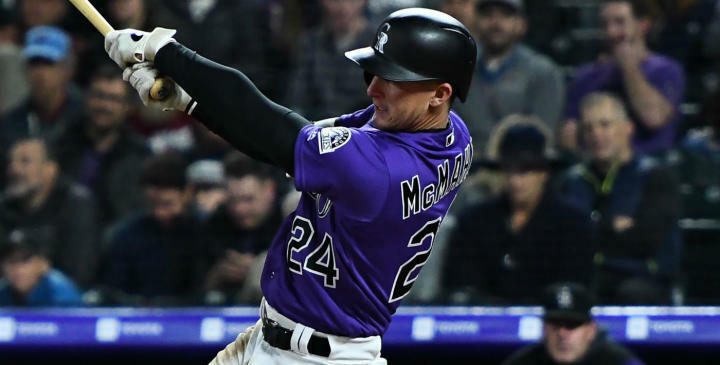 Desmond missed the last two games with a sore leg, but he's back in action for this tilt with Philadelphia after making a pinch-hit appearance Thursday. The veteran has slumped to a .161 average to start the year, but he hit his first homer of the season in his last start so hopefully that means he's finding his stroke at the dish. Segura (hamstring) remains out of action Friday against the Rockies, Thomas Harding of MLB.com reports. Segura was reportedly expected to miss 3-to-4 days after straining his hamstring Tuesday. That makes Friday's absence no surprise and points towards a possible Saturday return. 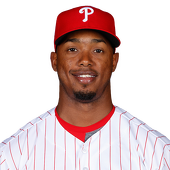 Scott Kingery starts at shortstop in his absence. Manager Aaron Boone said Friday he expects Sanchez (calf) to be activated during the Yankees' upcoming west coast trip, which begins Monday against the Angels, Bryan Hoch of MLB.com reports. Sanchez is eligible to return Sunday but he will apparently require a little extra time before being activated. According to Lindsey Adler of The Athletic, Boone also said Sanchez will likely need one or two rehab games before rejoining the lineup, which makes an early week activation seem fairly unlikely. 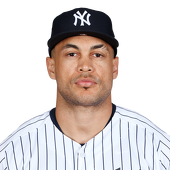 Stanton (biceps) could return during the Yankees' upcoming road trip, which runs from April 22 to May 1, Bryan Hoch of MLB.com reports. 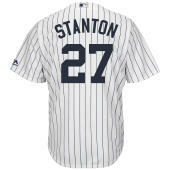 A biceps strain has kept Stanton out of action since the start of the month. 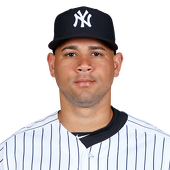 The Yankees haven't set a clear target date for his return, but he's been hitting off a pitching machine in recent days and could be ready for a rehab assignment soon. 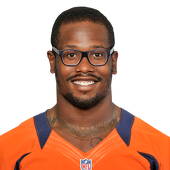 If you listen to head coach Vic Fangio's full interview, there is some additional context here -- that safety is harder to learn than corner in his defense and so he wanted Jackson to get his initial reps there. Still, the fact that Jackson lined up exclusively at safety at camp signals, at the very least, that he won't be plugged in on the outside and left to fend off opponent's top vertical threat. Instead -- with Chris Harris, Jr. and Bryce Callahan similarly able to move inside and out -- it is more likely that Fangio will move the three around based on the opponent. 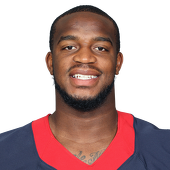 Given his familiarity with playing safety in Houston, it might very well be the case that Jackson plays safety on a base down only to move all the way out wide on the next play if the opponent spreads it out. 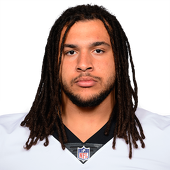 Look for Jackson to thus have the opportunity to tally more tackles than the typical corner while also not missing out on too many opportunities to play the ball in passing situations. 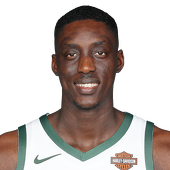 Snell (ankle), according to coach Mike Budenholzer, has a "small" chance of playing during Saturday's Game 3 against the Pistons, Malika Andrews of ESPN.com reports. There's little reason for the Bucks to rush Snell back, as they've been taking care of business against the short-handed Pistons. It's likely Snell will end up making his return during the second round of the playoffs. Davis (ankle) has been ruled out for Saturday's Game 4 against the 76ers, Brian Lewis of the New York Post reports. Davis was forced out of Thursday's Game 3 with a right ankle injury after playing just 10 minutes, and now the lingering soreness will cost him at least one game in this series. 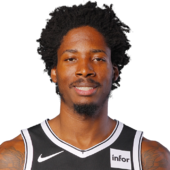 Davis' absence is a big hit to the Nets' frontcourt, as he is the only other active center behind Jarrett Allen. As a result, Brooklyn will have to play small ball when Allen isn't on the floor, which usually means Rondae Hollis-Jefferson seeing time at center. 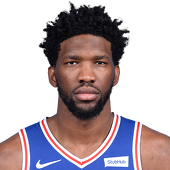 Embiid (knee) is questionable for Saturday's Game 4 against the Nets, Dave McMenamin of ESPN reports. Left knee soreness kept Embiid from participating in Game 3, but the 76ers were still able to secure a 131-115 victory over Brooklyn. Embiid will presumably continue receiving treatment and keeping his practice time to a minimum ahead of Saturday's contest. If he's out again, it's possible we see Greg Monroe draw another start. Kanter suffered a right hand bruise in Tuesday's Game 2 against the Thunder but is not listed on the injury report for Friday's Game 3. 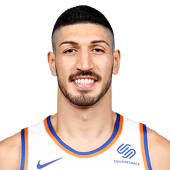 Kanter already played through the injury in Game 2, as according to Jason Quick of The Athletic, the big man suffered the injury in the first half. Kanter has reiterated that he will be ready to play in Game 3, so expect him to be a full go Friday. 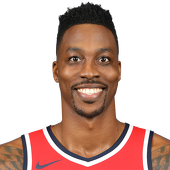 Howard (back) informed the Wizards on Friday that he would exercise his $5.6 million player option for 2019-20, Zach Lowe of ESPN.com reports. 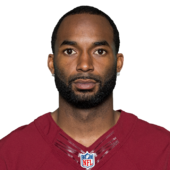 Limited to just nine appearances in his first season in Washington due to a back injury that ultimately required surgery, Howard wasn't likely to find any team willing to pay him $5.6 million had he explored free agency. He thus determined it was in his best interest to exercise his option, ensuring that he'll be back with the Wizards for another season. 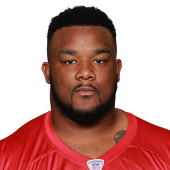 Though Washington envisioned Howard serving as a stopgap starter at center heading into last season, it's unclear if the 33-year-old will get the opportunity to even compete for a top-unit role if he returns to training camp at full health. Thomas Bryant flashed an intriguing skill set at center during his second NBA season, and the Wizards might not be willing to reduce his playing time in 2019-20 to accommodate Howard. Washington may also bolster its frontcourt through free agency, trade or the draft, which would further reduce Howard's chances of re-emerging as an impact player. 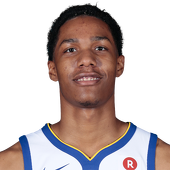 Head coach Nick Nurse said McCaw (thumb) is probable for Friday's game against the Magic, Eric Koreen of The Athletic reports. McCaw has not played since March 30, but it looks like the swingman will be making his playoff debut for the Raptors on Friday night. Look for McCaw's status to be confirmed at some point prior to tip-off. Rask will tend the twine for Friday's Game 5 home clash with the Maple Leafs, NHL.com reports. 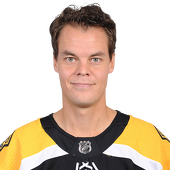 Rask gave up four goals on 42 shots in Game 4 (.905 save percentage), but was still able to walk away with the win and even up the series. Through the first four games, the Finnish netminder has faced 139 shots (34.75 average) as Toronto has tested him early and often. The 31-year-old should be prepared for another barrage of rubber Friday. Lowry tallied a goal in Thursday's 3-2 Game 5 defeat to the Blues. Lowry ended a seven-game goal drought with his first marker of the postseason. 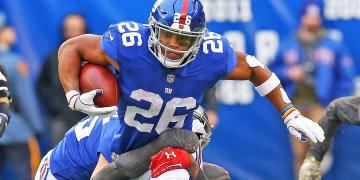 The winger figures to continue filling a bottom-six role, but should provide depth scoring and decent mid-range fantasy value the rest of the playoffs. Hayes found the back of the net in Thursday's Game 5 loss to St. Louis. Hayes has two goals in five playoff contests while averaging just 11:15 of ice time. The center also put an impressive five shots on goal Thursday, giving him nine in his last three contests. 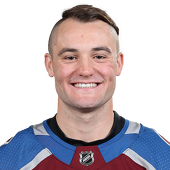 The Massachusetts native has seen himself slip to a bottom-six role in favor of Bryan Little, which limits Hayes' chances of racking up points. 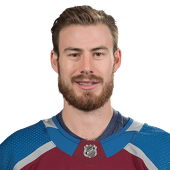 Grubauer will get the starting nod for Friday's Game 5 matchup with Calgary on the road, Mike Chambers of The Denver Post reports. Grubauer is riding a three-game winning streak in which he posted a 1.82 GAA and .946 save percentage. 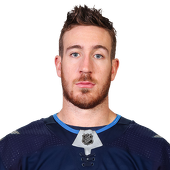 The German netminder will need to continue to perform well if he is going to continue to stymie the Flames' high-powered offense that averaged 3.52 goals in the regular season (third highest in the league). 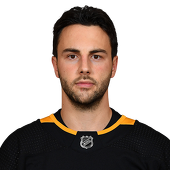 Brassard (illness) will miss Friday's matchup with Calgary, Mike Chambers of The Denver Post reports. Brassard will miss his third consecutive game due to his illness. 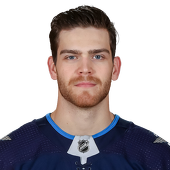 Prior to getting sick, the center was bogged down in a six-game pointless streak, during which he managed 11 shots on net. The Quebec native will almost certainly slot back into a top-six role and retake his spot on the power play once cleared to play. Grimaldi was labeled day-to-day by coach Peter Laviolette after the winger took a maintenance day Friday, John Glennon of The Athletic reports. Grimaldi could be facing the prospect of heading up to the press box even if he is fully fit after Brian Boyle (abdomen) returned to practice, though Grimaldi's pair of postseason goals might be enough to hold on to his spot in the lineup. Saturday's game-day skate prior to Game 5 should shed some more light on the 25-year-old's status.